These DS-8VT headsets come with a 3.5mm To Go plug that is compatible with iOS and Android-based smart phones, mobile devices, and tablets for a truly mobile experience. Has a fully adjustable headstrap that adjusts to varying needs based on the user's preference. This 3' replaceable cord withstands 250,000 flexes. Experience exceptional noise-distortion reducing volume control, with the noise-reducing earcups that lower ambient noises. 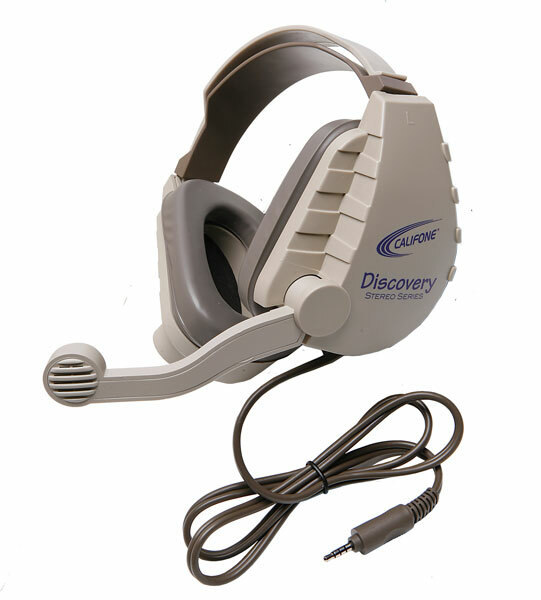 Features a noise-cancelling electret microphone that makes it easy to work with the voice recognition program. Serves several uses such as learning in a language lab, and voice recognition. The hypo-allergenic (no latex) replaceable ear cushions are a perfect fit for sensitive ears, and are easy to clean.